There are a variety of ways to avoid having you and your assets placed in a court-supervised guardianship or conservatorship if you become mentally incapacitated. Some will work in certain situations but not in others. It's also important to understand that planning to avoid guardianship or conservatorship must be done before you become mentally disabled. Joint ownership of property is probably the most simple way to avoid a court-supervised guardianship or conservatorship. If you become incapacitated and there is someone else authorized to access your bank account or investment account, then the other person will be able to pay your bills and manage your investments. If you have a joint owner on your home or other piece of real estate, however, the other owner won't be able to sell or mortgage the property without your consent, and if you're mentally incapacitated you won't be able to give your consent. Aside from this, adding other owners to your bank and investment accounts or real estate could, under many circumstances, be deemed a gift for federal and state gift tax purposes. Also, if your joint owner is sued, then your assets could be seized as a result of the joint owner's lawsuit. 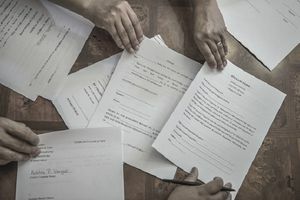 All financial institutions, including banks, credit unions and investment and mutual fund companies, have their own form of a power of attorney. You can take the initiative while you're mentally competent and sign one for each of your financial accounts. This, however, can become burdensome if you have multiple accounts at multiple institutions. In addition, these forms won't cover your assets such as individual stocks and bonds, personal effects, cars and boats, life insurance and real estate. Also keep in mind that when you sign a durable power of attorney, you're giving your agent named in the document (usually referred to as your "attorney in fact") instant and complete access to and authority over the account covered by the power of attorney. A general power of attorney can be written to cover most types of assets that you own. The problem with a general power of attorney, however, is that it may not cover every single type of asset you own, it can be awkward and clumsy to use because it will need to be examined by the institution's legal department, and it may become stale after several years and your financial institutions could refuse to honor it. Also, as mentioned above, a general durable power of attorney will give your attorney, in fact, immediate and unfettered access to all of your assets. Ask your primary doctor about signing an advance medical directive, called a health care power of attorney in some states, the next time you visit. This form will most likely be a basic form that follows the laws of the state where you live. In certain situations, however, such as if you're traveling away from home or are in an accident and require someone to make immediate decisions, the form held on file at your doctor's office won't be useful. An alternative is to sign an advance medical directive that's provided by an estate planning attorney. This document will most likely be quite comprehensive and cover all of your health care decisions. In order for this important document to be available when needed, many states now have a central "Advance Health Care Directive Registry" where you can store a copy of your health care documents. You can also use private companies such as Docubank and US Living Will Registry to store your important medical documents. First, make sure your trust contains (a) specific provisions on determining if you have become mentally incompetent outside of a court proceeding, and (b) specific provisions about how the trust assets should be managed for your benefit if you become mentally disabled - many trusts I've reviewed simply don't contain this language. Second, make sure that you take the time to fund your assets into the trust, otherwise, your assets held outside of the trust may end up in a guardianship or conservatorship. Finally, make sure that you have a valid Durable Power of Attorney to cover assets that can't be owned by your trust, such as life insurance and retirement accounts including IRAs and 401ks.